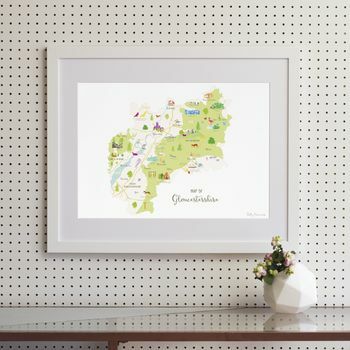 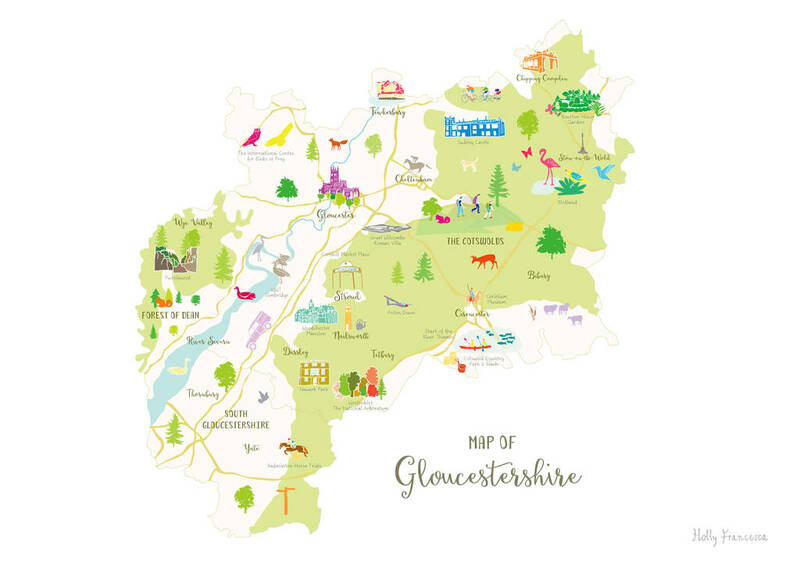 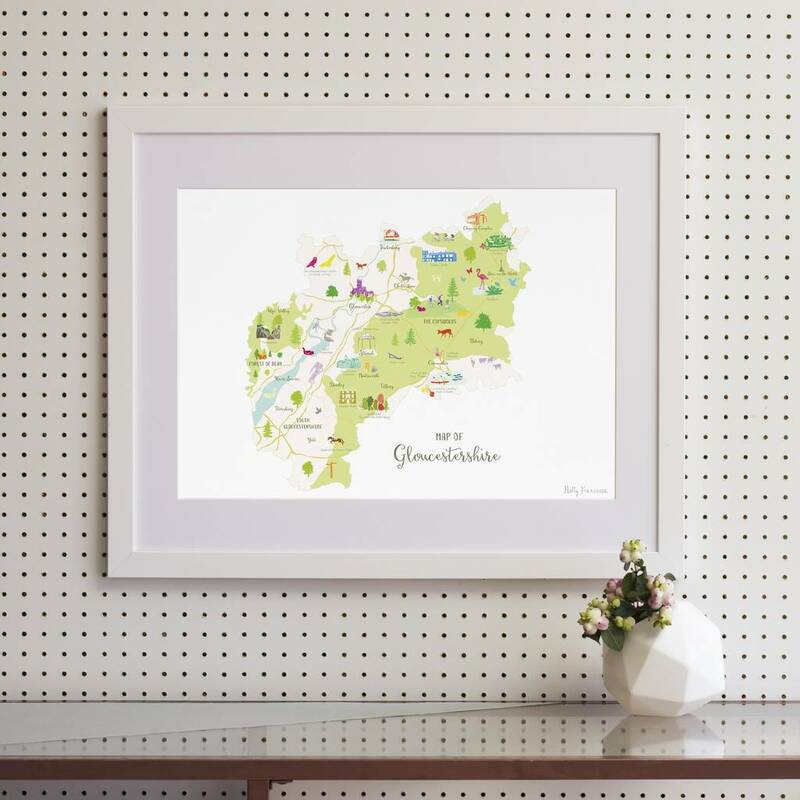 Illustrated art print showing a ‘Map of Gloucestershire’ created from an original drawing by Holly Francesca. 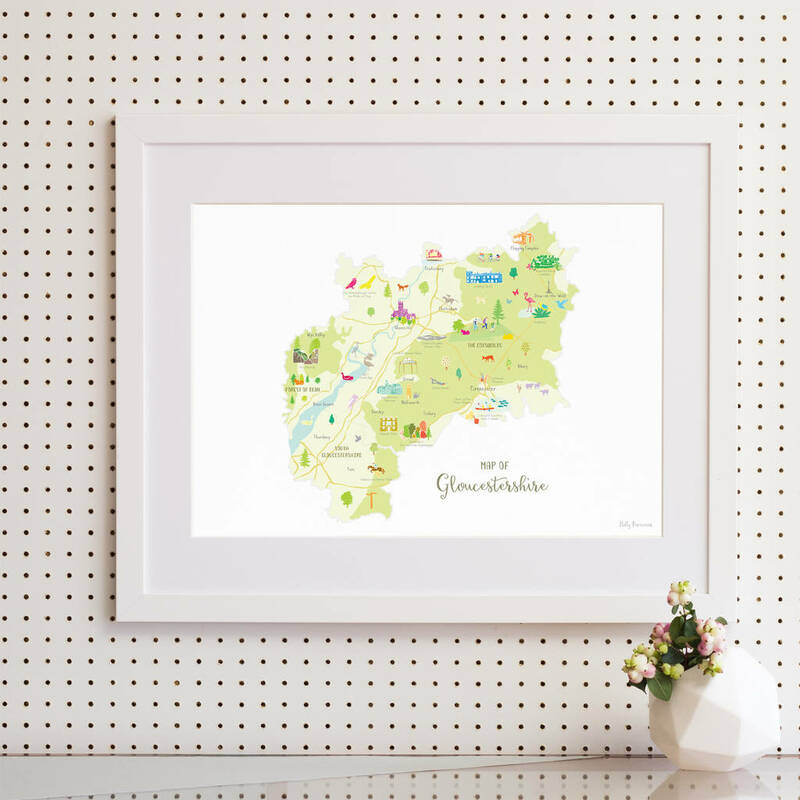 Photo shown is an A3 framed print. 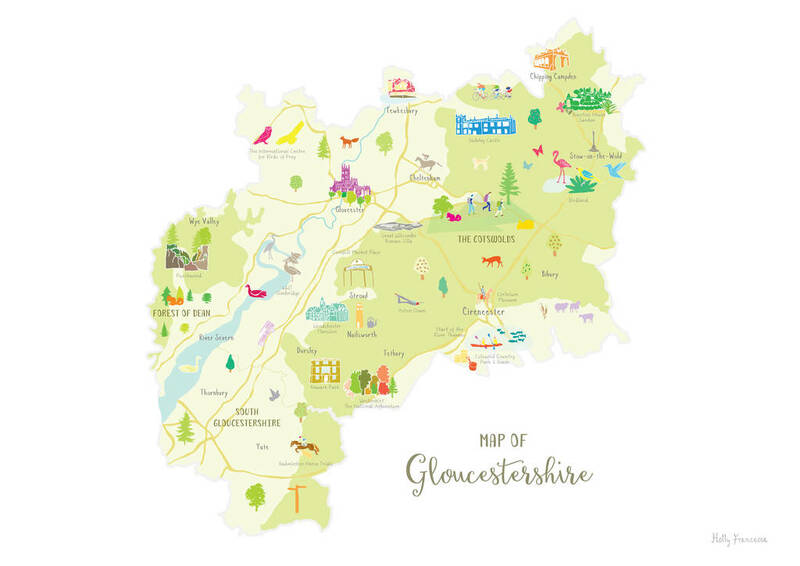 Gloucester, Tewkesbury, Stroud, Nailsworth, Cheltenham, Chipping Campden, Stow-on-the-Wold, Bibury, Cirencester, Tetbury, Dursely, Forest of Dean, Wye Valley, River Severn, Yate and Thornbury. 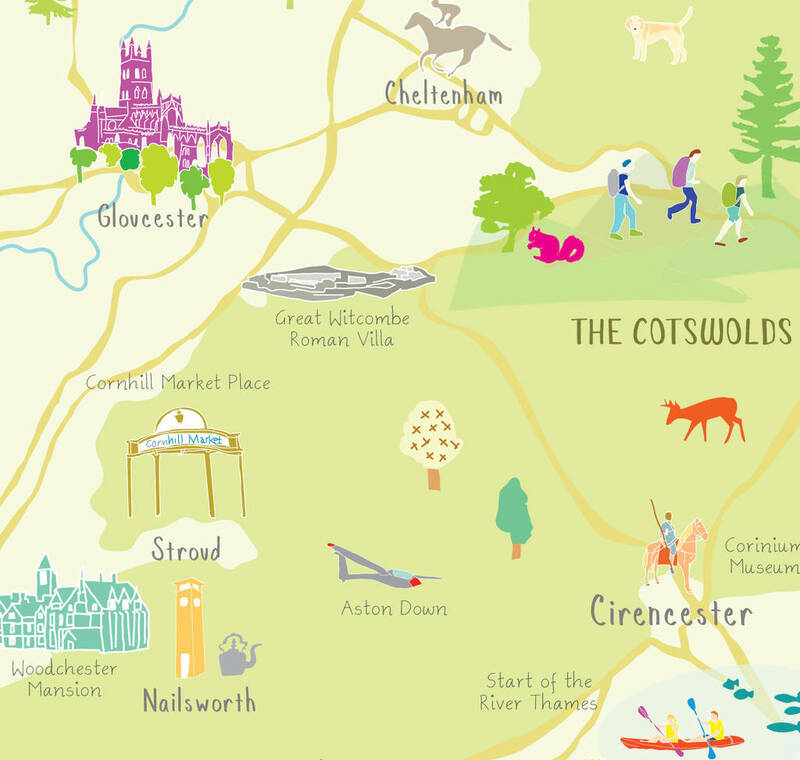 Gloucester Cathedral, Badminton Horse Trials, Westonbirt, Newark Park, Woodchester Mansion, Puzzlewood, Cornhill Market Place, Corinium Museum, Great Witcombe Roman Villa, Cheltenham Racecourse, Sudeley Castle and Bourton House Garden.